Used to convey paper and envelopes in manufacturing processes, machine tape belts are an important part of our Power Transmission and Conveyor Components and Design lines. 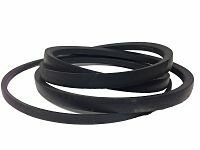 Edwards Industrial works closely with our primary suppliers to bring you the best products including machine tape belts. Request a quote or contact us today to get your machine tape belts.